The Indian High Commission in Kuala Lumpur, Malaysia, has given refuge to eight stranded youths from Gurdaspur district. The youths were allegedly made to work under inhuman conditions in a food packaging factory in Johor, 335 km from the Malaysian capital, after being duped by travel agents operating from the district. 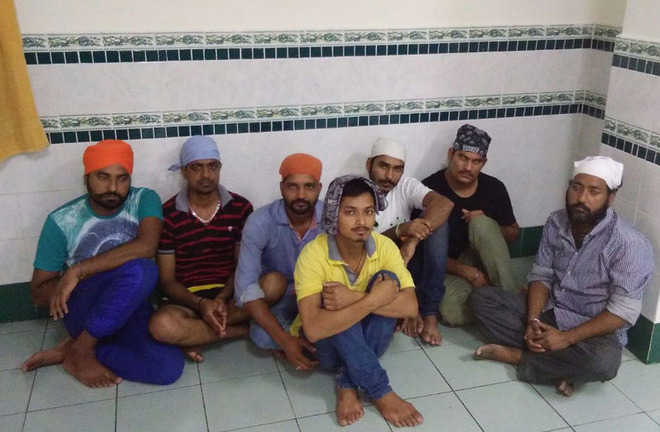 For the past three weeks, Davinder Singh, Rohit Kumar, Sahil Sharma, Vinod Kumar, Kulbir Singh, Gurcharan Singh, Surinder Pal Singh and Anil Kumar had been putting up in a Kuala Lumpur gurdwara after escaping from the factory where they were employed. The gurdwara head, Paramjit Singh, who migrated to Malaysia from Batala about 10 years ago, was reportedly known to one of the youths. In the past two days, PPCC chief Capt Amarinder Singh and Rajya Sabha MP Partap Singh Bajwa had sought the Centre’s intervention to rescue the youths. Davinder Singh’s family members said the youths would return to Punjab next week, adding that officials were preparing their documents. Thank the HC for discharging his responsibility and doing what is right. Hope he and his staff, will take care of other Indians in trouble in Malaysia and other HCs will do the same in other countries.